The new project by Dominican guitarist Felipe Baez, Auffant is a synthesis of nylon string guitar, Afro Caribbean rhythms and electronic elements that pushes the envelope of traditional guitar music. Enjoy! Composer, performer, and producer, Felipe Baez Auffant, releases an outstanding self titled debut CD, “Auffant.” This album is comprised of beautiful World/Caribbean instrumental music featuring Auffant on the nylon string guitar. His agility on the guitar is magical as he creates songs that sparkle with irresistible appeal. Opening up the CD, the song, “Astor,” is vibrant and lively as the guitar reels you in with a catchy melody. The songs, “Phase 1” and “Phase 2” have a mellower feel as Auffant captures his audience with hypnotic charm. You will like the funky groove on the song, “FretStep,” as the driving rhythm moves with fascinating enchantment. Winding up the CD, the song, “Domingo,” is mesmerizing as the guitar deftly plays the melodic melody. 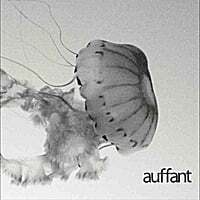 If you are looking for some marvelous World/Caribbean music that is refreshing and delightful to hear, then take a listen to the album, “Auffant,” as you will really enjoy it. In a synthesis of nylon string guitar and electronics, this debut album from Dominican guitarist Felipe Baez explores new sonic territories of the instrument.